The company grew from being a domestic Indian pharmaceutical firm to a global pharmaceutical major. It is now the 4th largest generics pharmaceutical player by market capitalisation in the world. Desh Bandhu Gupta, Founder and Chairman of Lupin, India’s second-largest drug maker passed away early Monday in Mumbai. He was 79 years old. He is survived by his wife and five children. Born in Rajgarh, Rajasthan, Gupta earned a Master of Science Degree in Chemistry and started his career as an associate professor at Birla Institute of Technology and Science (BITS), Pilani in Rajasthan. Gupta, a technocrat-entrepreneur had a vision to fight life-threatening diseases of highest national priority by delivering good quality medicines at an affordable price. It was with this objective that he moved to Mumbai and founded Lupin in 1968. "When I founded Lupin over 48 years ago, the goal was simple: to manufacture and deliver quality, affordable medicines of the highest national and social priority," Gupta said in the company's FY16 annual report. "It has been the core principle and guiding philosophy behind everything we have undertaken and achieved over now close to five decades," Gupta had said. Gupta will be remembered as a visionary, path-breaker and a nationalist who created a solid legacy of a global pharmaceutical major with a presence in over 100 countries. Since its inception, Lupin has been a pioneer in the Indian pharmaceutical landscape, and it was under the leadership of Gupta that the company grew from being a domestic Indian pharmaceutical company to a global pharmaceutical major spanning 100 countries. The company is now the fourth-largest generics pharmaceutical player by market capitalization in the world. Gupta’s other achievement is making Lupin one of the largest producers of tuberculosis medicines in the world – helping the India and several other countries in their fight against the dreaded disease. A firm believer in the concept of holistic development, Gupta set up Lupin Human Welfare and Research Foundation (LHWRF) in 1988 to eradicate poverty by encouraging sustainable development at the grass root level in rural India. His efforts have led to a positive impact on the lives of 2.8 million families in 3,463 villages across India. “We are deeply saddened with the demise of our father early this morning,” said Vinita Gupta, CEO and Nilesh Gupta, MD of Lupin, said in a joint statement. 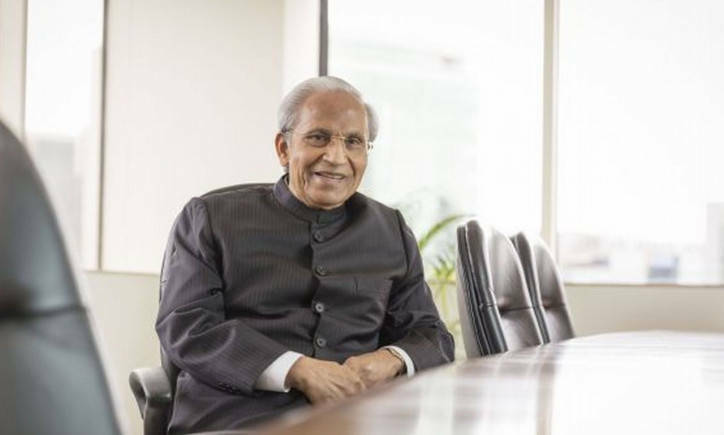 “What DBG (Desh Bandhu Gupta) put in motion 50 years ago in helping to create, innovate and lead in the pharmaceutical space is an unparalleled legacy,” the statement added. “Those who knew and worked with DBG, remember him giving generously and fostering a dynamic environment where people could learn and grow. We will continue to build on his legacy and live by the values he instilled,” the joint statement said. Your blog has crossed 68 lakh hits -- thanks.